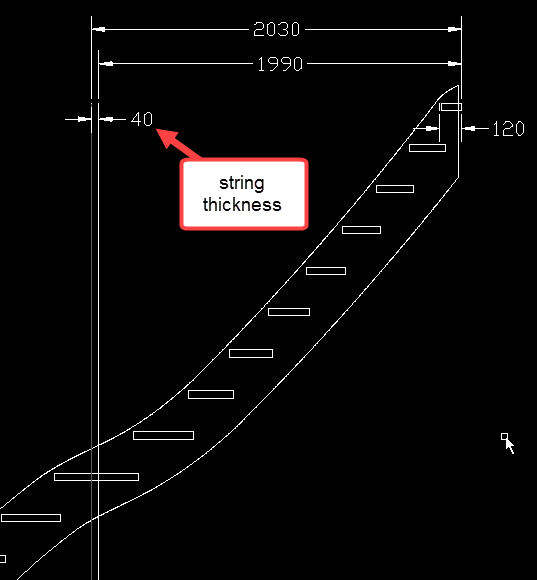 Looking at the details of your stair, the dxf is perfectly correct. The string length must be measured on the bottom developement. 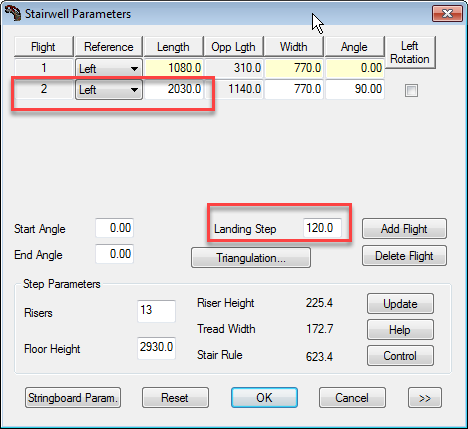 The calculations are a bit involved because you have set up a landing step at 120 whereas the strings overlap the last step only 100 and the step nosing are marked with a 10mm set back. I think you have forgotten to attach the StairDesigner file? why is there a differentcy in measurement in attached file, (red lines). it should be the same, right.? Can you post the StairDesigner file?